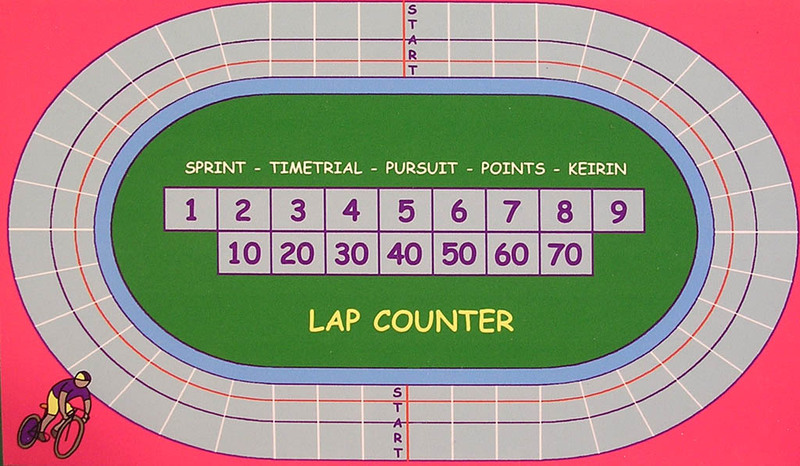 This is the Quikky Games track cycling game. 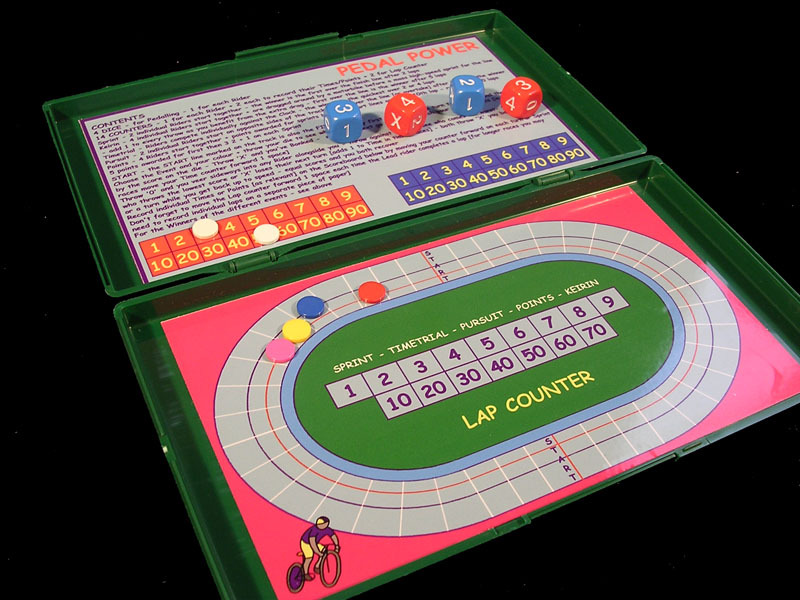 We have here the first edition of the game (in a green plastic case) and the two modern editions in tin boxes, named "SLIM" and "POKKET". 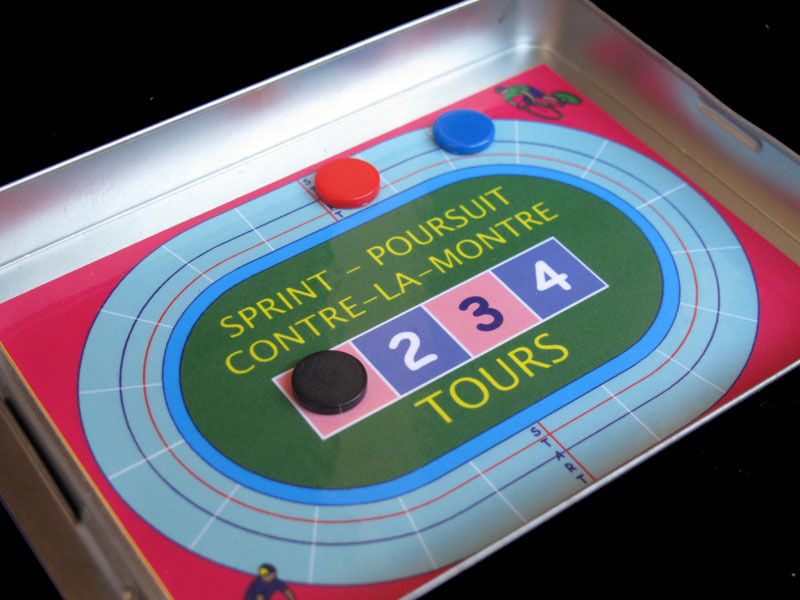 The rules for the smaller "POKKET" game are a simplified version of the already simple rules for the bigger "SLIM" game. 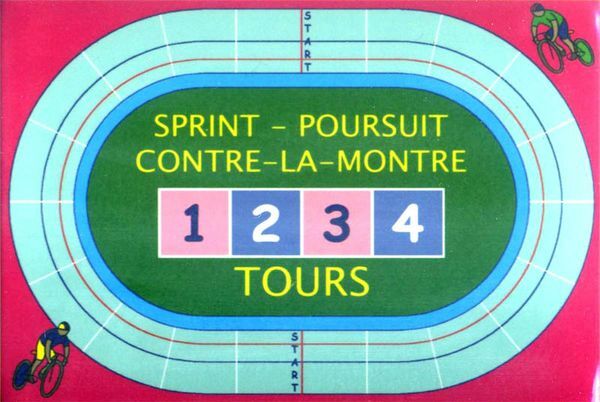 Furthermore, there smaller version of the game is just for two players while up to four can play with the larger one. I feature here the older version with the plastic box but, in this case, the game has not change much except that the new metal box is nicer. As you can see, the dice, common to all Quikky Games, are numbered "01234X"
Quikky games' titles have always some play with words which may translate easily into other languages or may not. In this case I am not sure the French title is so funny, but it would make a good Spanish title. 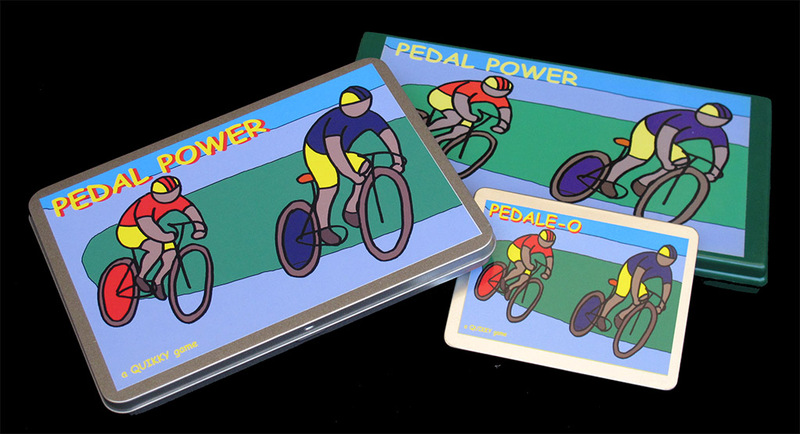 Click here to see all the cycling-related Quikky games.